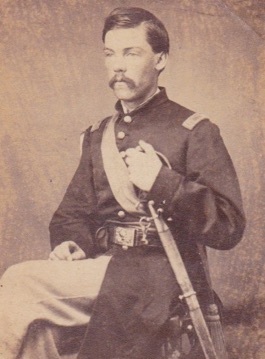 In 2018 the Churchill Residence in Ojai was designated Ventura County landmark #178 as “The General George C. Penney Residence.” We recently found this albumen “Carte De Visite” print of Penney taken c.1866 when he was captain in the 51st US Colored Infantry. He would have been 22 years old and a veteran of the Civil War at that time. Penney spent much of his military career as an officer in “Buffalo Soldier” units. Apparently a respected peace maker, Penney was made acting agent in charge of the Pine Ridge Indian Reservation immediately following the Wounded Knee Massacre in 1891. General Penney retired to the Ojai Valley in 1905 with wife Ida and long time aide Sergeant Henry Radgers. 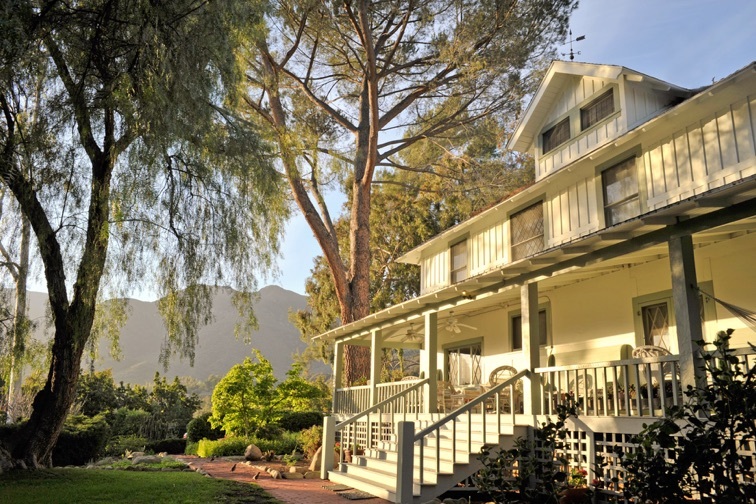 A historic Craftsman farm house, the Churchill Residence is located in the east end of the Ojai Valley a half block from The Thacher School and the Krishnamurti Foundation. Originally part of the historic Pierpont property, the 3,600 sq. ft. house was designed and built in 1905/1907 for Civil War veteran General Charles G. Penney. The second owner of the house was Dr. Guido Ferrando who along with Aldous Huxley, and J. Krishnamurti founded the Besant Hill School (formerly Happy Valley School). The Churchill family has lived in the home since 1955. The Ojai Valley is one of the few east/west facing valleys in California. That orientation, combined with California weather creates stunning sunsets sunrises and a unique ecosystem often compared to Tuscany. 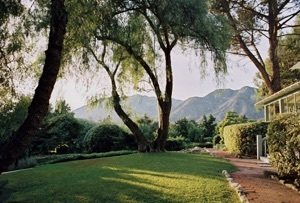 Ojai has been an artistic and spiritual center since the 1800’s. There are many festivals, events and activities throughout the year. Current weather and 10-day forecast can be seen here. Also worth checking out is the Ojai Valley Museum. A short drive from Ojai town center, the residence is set back from Thacher Road. Amid orange and avocado orchards the location is private and serene. Beautifully landscaped grounds compliment mountain and valley views from verandas on the front and back of the home. The house is a congenial place for retreats, friend reunions, family reunions, writer’s groups, wedding guests, etc. The house sleeps 10 guests. There is one king-size bed, three queens, and one full. The living room and den have wood burning fireplaces. The kitchen/breakfast area is large and fully equipped. There are outdoor eating areas on both verandas. There are three full baths plus an outdoor shower with hot water. Amenities: Redwood hot tub, swimming pool, DirecTV with HBO, Netflix, a large collection of DVDs, an extensive eclectic library, broadband WiFi, telephone, washer/dryer, stereo, natural gas BBQ, and a fully equipped kitchen with a restored O’Keefe & Merritt 6-burner, two-oven, two-broiler stove. Play your iTunes library on stereo via Airplay. The house has central heating and air conditioning. $965.00 per night, $6,000.00 per week. $500.00 refundable damage/excess cleaning deposit. Taxes: 8% will be added to cover county taxes. 50% of rental due to confirm, balance due two weeks before arrival. Cancellation Policy: Payments will be refunded in full if the dates are filled by another renter. Otherwise any refund will be determined on a case-by-case basis. The residence is not suited for groups with children for reasons of their safety and potential damage. We do not allow any commercial use of the property including filming and photography. No parties or events of any kind without prior arrangement. The house is over 100 years old and has not been child proofed. An infant under crawling age may be accepted by special arrangement. You will be required to bring bed and bedding for the infant. We require a liability release for infants at the time of the reservation. Please check our calendar in the Availability tab here before making your inquiry, it’s up to date. Inquires: We welcome direct contact.